Jia Yue, 17, Yi Du Fa Yi (Metropolitan Hair Art). Jia’s job is to wash customers’ hair. Her employer didn’t let her bring the photographers to her dormitory, so instead she pointed out a pink-tiled building nearby with the words, “I love you” written in English on it. Zeng Chuanxin, 18, Huaman Xingxiang Sheji (Flower Shape Design). At right, the view from the rooftop of his apartment building. 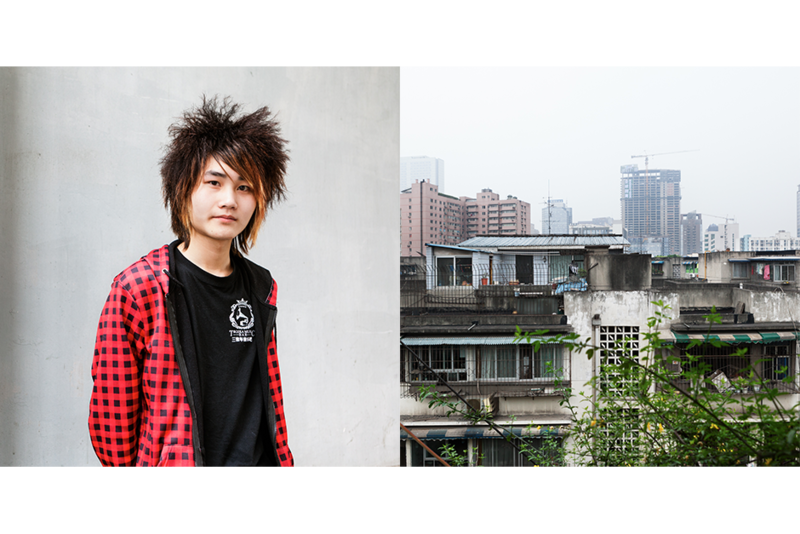 After several months working as a hairdresser, Zeng left his job to work nights as a waiter at a gay bar in Chengdu. Wang Yuanmeng, 20, Xiao Wu (Small Wizard). Wang lives in a tiny apartment up a steep staircase above the Small Wizard salon. She shares this small apartment with its cramped, windowless kitchen, pictured above, with eight other employees. Deng Haibo, 21, Mei Shi Mei Ke (Beautiful Moments). 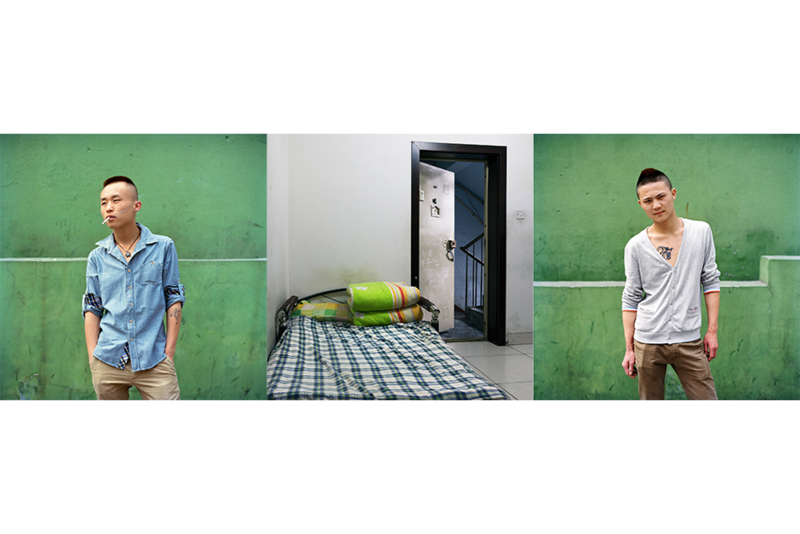 Deng shares his apartment with two other salon employees. They cover the windows with newspaper to block some of the light and to give the room, which is above a lively street in the city center, a little more privacy. Yi Bo, 19, Hua Man Xingxiang Sheji (Flower Shape Design). Like his colleague Zeng, Yi decided to look for a new job a little over a week after this photo was taken. He left Chengdu to return to his birthplace, a hundred kilometers north of the city. Yu Yan, 28, Weimei Jing Jian (Beautiful Perfect Cuts). 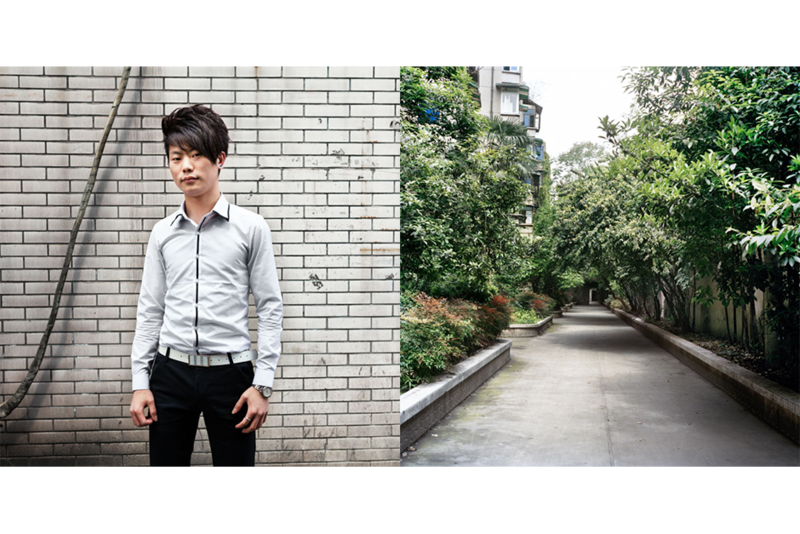 Yu has been working in Chengdu for four years. He shares an apartment with other employees of the Beautiful Perfect Cuts salon. A dozen of his colleagues share three other apartments in the building. Liao Yang, 26, Xin Ming Ming (New Dawn). 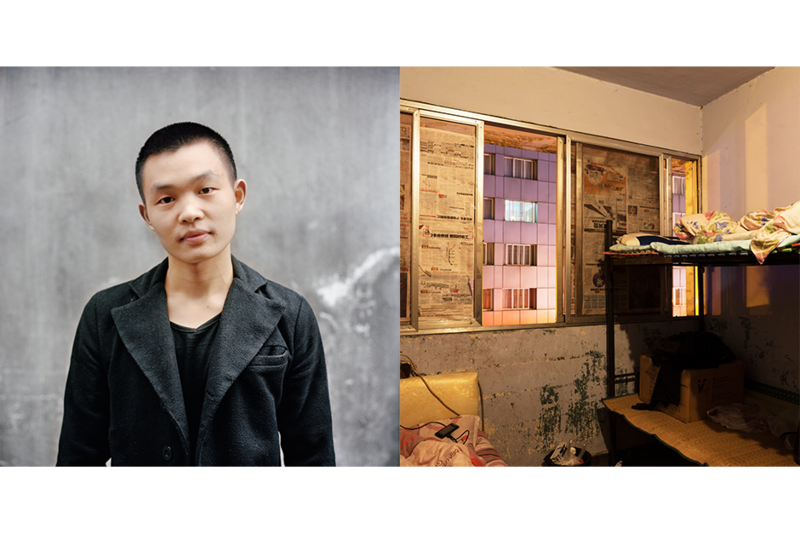 Like many of his colleagues, Liao lives in a large apartment with a kitchen, dining room, dormitory-style beds, shared bathroom, and a balcony. Jin Shan, 18, Xin Ming Ming (New Dawn). 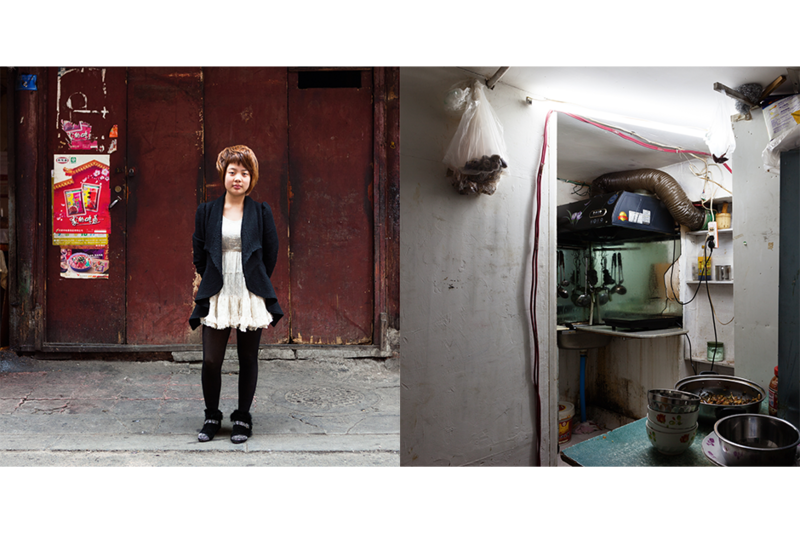 Jin worked at a salon in Beijing for three years before but decided to return to Sichuan to be closer to her family. She shares a dormitory with her colleagues. 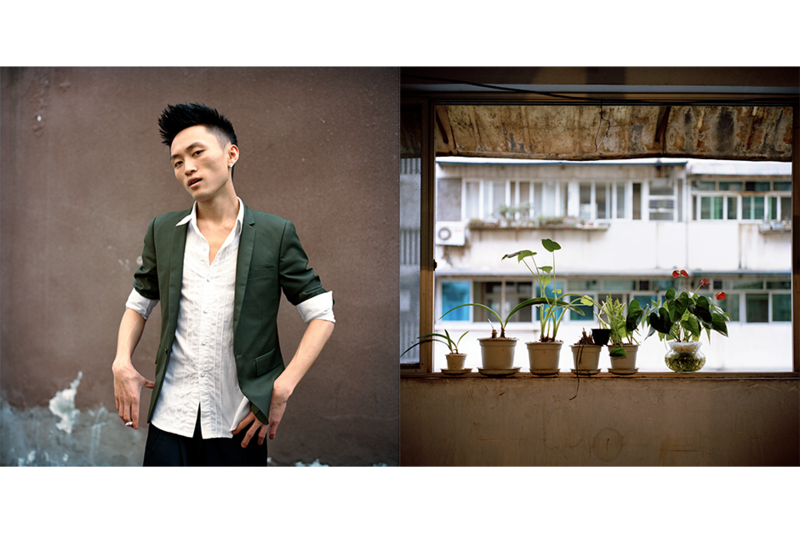 Yu Yongqiang, 23, Fa Ming Jia (Renowned Excellence Hair). 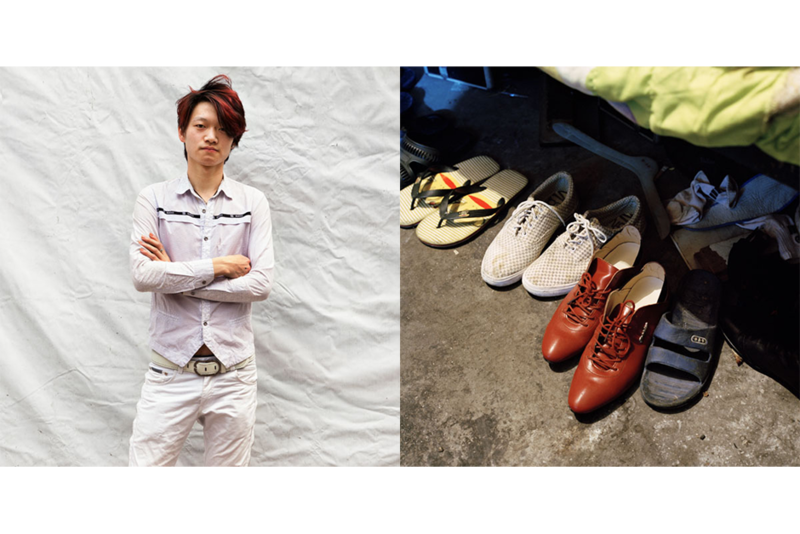 Yu’s shoes are lined up underneath his bed. 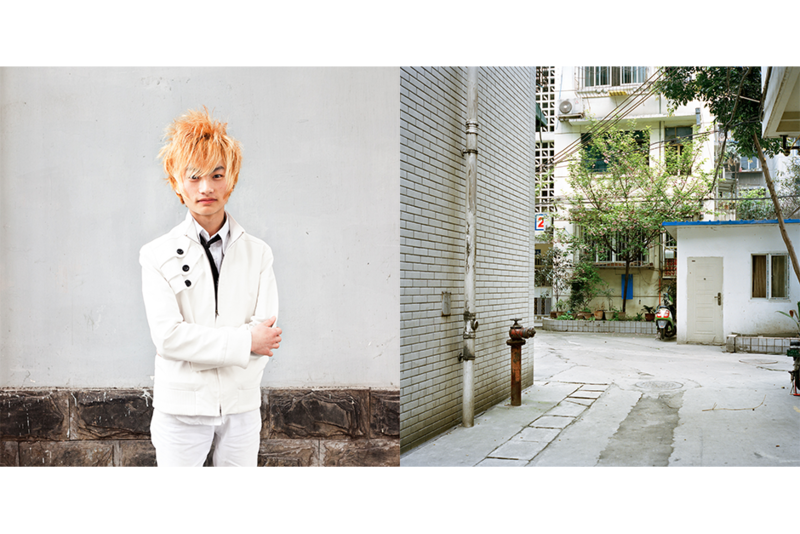 Luo Hai, 22, Fa Ming Jia (Renowned Excellence Hair). Luo shares his apartment, dormitory-style, with five other colleagues. Above where he sleeps on the top level of a bunk bed, he stuck posters of his basketball idols to the ceiling. 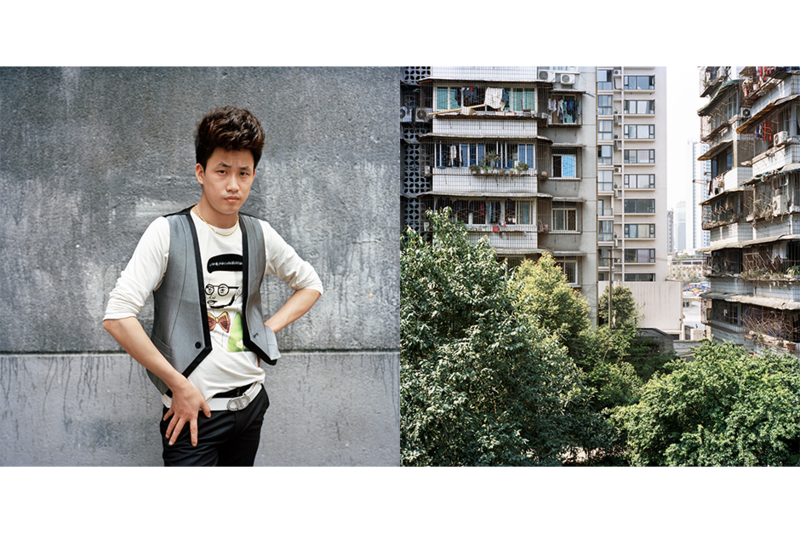 Zhang Chao, 24, JK Gan Jian (JK Dry Cut). 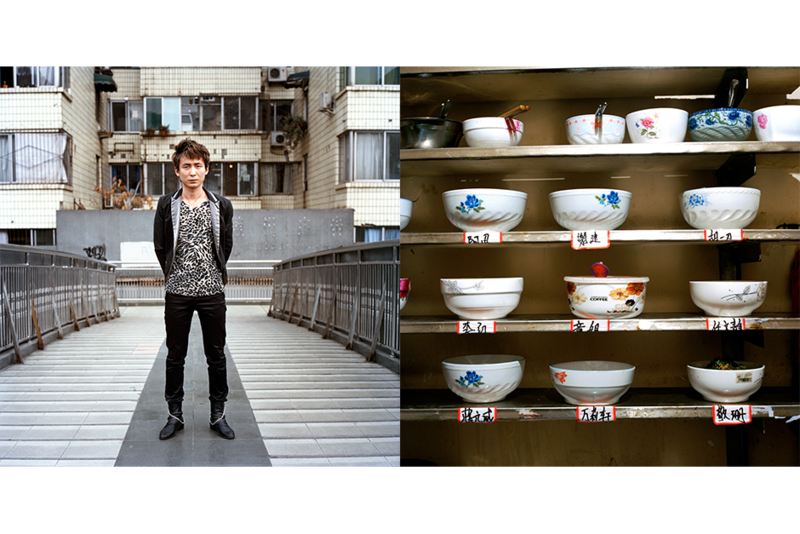 Residents keep their own bowls on a shelf with their names in the common kitchen in Zhang’s apartment. 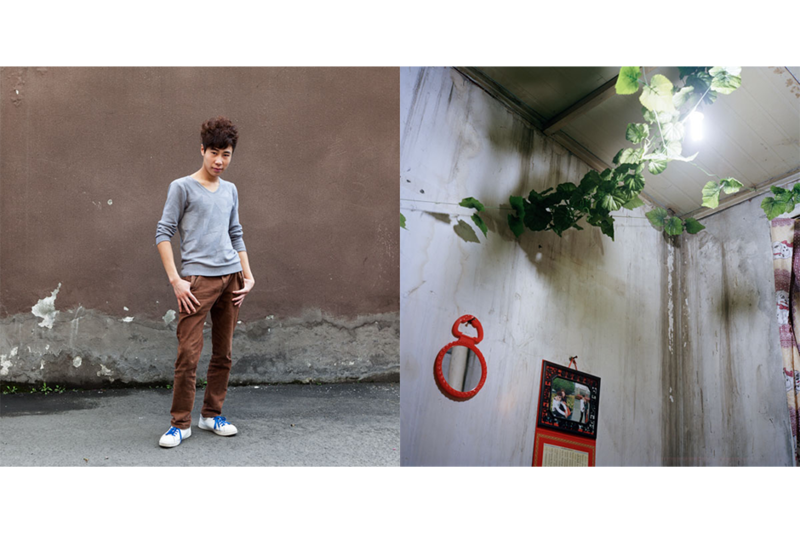 Xia Wei, 22, Chao Fan Zao Xing (Excellent Style Salon). Wei’s flowers decorate the railing of this balcony. Zhang Liang, 23, Faxiang Tianxia (Best Hairdo). Zhang rents a small apartment with his sister. Hu Qilin, 21, My Bo Bo. 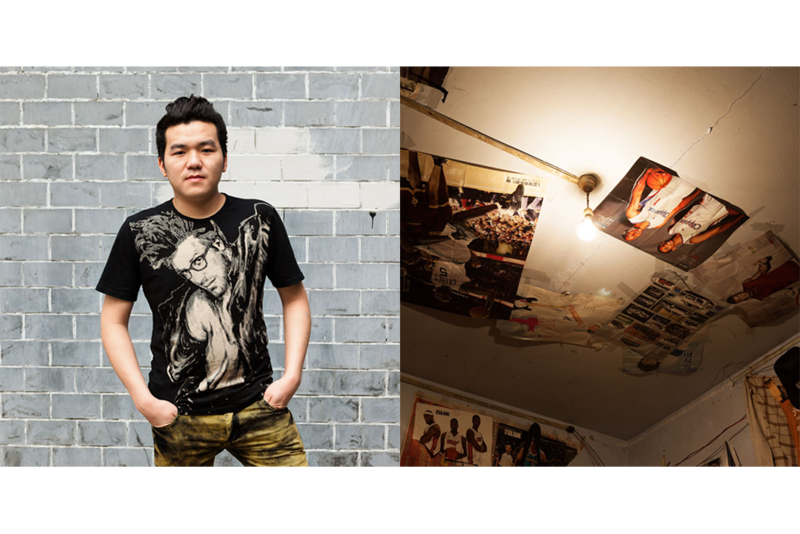 Hu lives with his girlfriend in a small room in the basement of an apartment rented by another family. A plastic vine is used to decorate the ceiling. 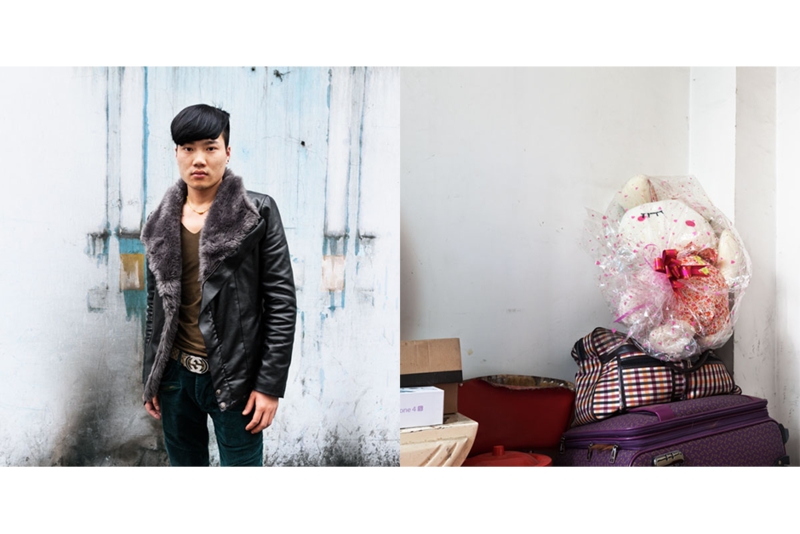 Lu Chao, 20, left, and Chen Yi, 21, Ru Yi Meifa Dian (Lucky Hair Salon). The owner of the salon where Lu and Chen work also owns a nearby apartment building where they sleep. All the rooms are occupied, so the two share a bed in the entrance hall of the apartment building. 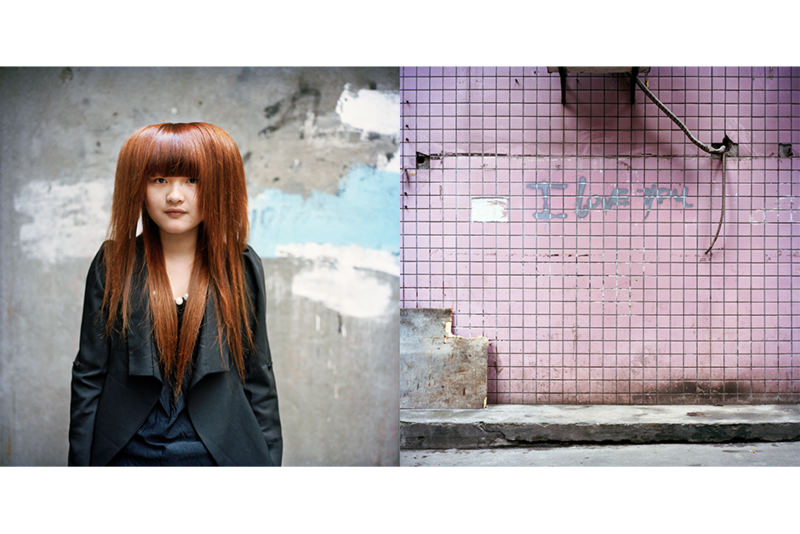 This photo series of Chinese hairdressers was made in the spring of 2012, in the city center of Chengdu in Sichuan province. There, some 16 percent of the city’s nearly 12 million residents are recent immigrants, like the individuals photographed in this project. 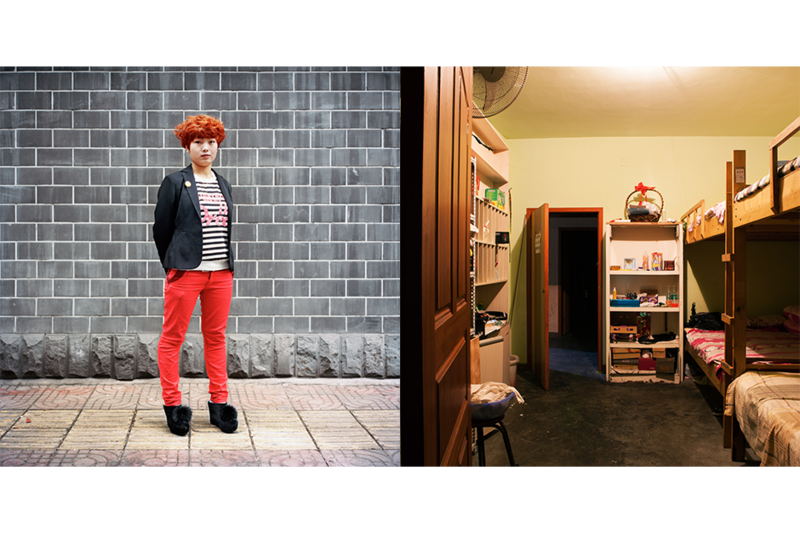 Each portrait shows a young hairdresser who moved to Chengdu in search of new employment opportunities; the portraits were taken near the salons where the hairdressers work and they are paired with photographs of the places they live. Jobs that come with accommodations are particularly prized by the new arrivals, though, if an employer offers a room or a bed in his or her own home, it is often shared with other members of the staff.